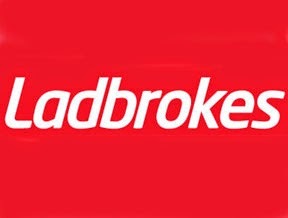 Bookmaker Ladbrokes has followed up on its recent withdrawal from the Canadian market by confirming it will also pull out of Switzerland, Norway, and Hungary. According to various reports, Ladbrokes has opted to exit the three markets in order to undertake legal and regulatory reviews of igaming frameworks in Europe. The bookmaker said that as of October 1, customers in the three European counties will no longer be able to bet or deposit funds in their accounts, but will be able to withdraw any remaining funds for one month after the initial shutdown date. Last month, Ladbrokes confirmed in an email to Canadian customers that it was withdrawing from the national market due to concerns over a regulatory clampdown in the country. The withdrawals come shortly before the introduction of new licensing conditions in the UK. Under new regulations, operators wishing to take bets from customers in the UK must obtain a new licence from the national regulatory body. The new conditions also state that operators must disclose financial information about international markets that generate more than 3% of total revenue. The new UK system was due to come into effect on October 1, but has now been delayed until next November 1 following an ultimately unsuccessful legal challenge by the Gibraltar Betting and Gaming Association.